The Baitul Futuh Mosque in London has caught fire. Half of its ground floor and first floor are in flames. Seventy firefighters and 10 fire engines are reported to be tackling the blaze. A fire has broken out at the mosque located in London Road in Morden, in the south of the British capital, a London Fire Brigade (LFB) spokesman said on Saturday, according to local media. The police said there was no information about people inside the building, and couldn’t give any information about the cause of the "large fire" at present. "There's really thick smoke at the minute. I saw it start from my window. There was a tiny bit of smoke, some alarms,” a local resident, Julian Roman, told the BBC. "Now there are firefighters, ambulances, and hundreds of people." The smoke rising from the fire could be seen for miles around, and police had to close a part of London Road, also advising motorists to avoid the neighborhood. 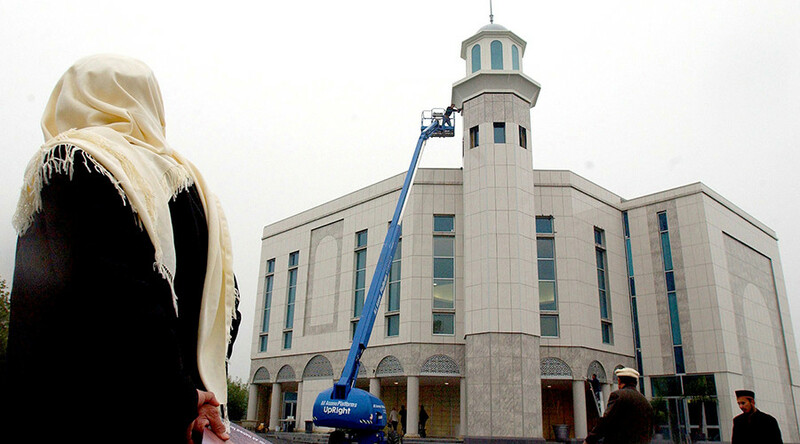 Baitul Futuh mosque was completed in 2003, and its construction reportedly cost £5.5million ($83.5 million). It is believed to be the largest in Western Europe with a capacity to house up to 10,000 people. A middle-aged man was taken to hospital due to smoke inhalation, according to a spokeswoman for the London Ambulance Service.